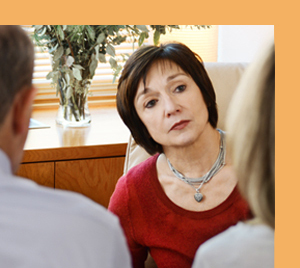 Couples therapy involves discussions and problem-solving sessions facilitated by a therapist. Couples may improve their understanding of each other and the way they respond to one another. Through this type of therapy they acquire tools that will allow them to communicate better, negotiate differences and solve problems more efficiently. Couples therapy can be started on its own, or within the context of a child’s or adolescent’s therapy. It can be an adjunct to the individual therapy of one or both partners in the couple. Like couples therapy, this approach involves discussions and problem-solving sessions. Contemporary family therapy addresses problems both within the individuals, and the relationships among individuals. It looks at the multiple influences among individuals, certain family members, or the whole family.